Posted on Май 22, 2015 by Татьяна Н. What is winter like in Russia? What is summer like in America? Winters in America are as cold as ours. Summers in America are not so cold as yours. 5. It looks like + noun – Похоже на …. 6. 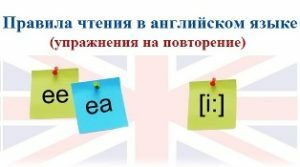 It is sure to + verb – Обязательно будет…. It is sure to rain. There is a lot of snow everywhere. There is no snow at all. There is a lot of rain this autumn. There is not a single cloud in the sky. ( Not a cloud in the sky.) There are clouds in the sky. Эти выражения встретятся вам в диалоге и текстах ниже. Bad luck. – Не повезло. It didn’t look like rain. — Не было похоже, что будет дождь. It is sure to rain. – Обязательно пойдет дождь. A. You got caught in the rain, didn’t you? B. Just a little. The shower came on all of a sudden, but I was already near home. A. It didn’t look like rain at all this morning, did it? But you never can tell… B. I usually carry an umbrella all the time in season. But I forgot to take it this morning A. Bad luck! B. Yes. As they say, it’s sure to rain if you don’t take an umbrella. A. That’s right. There’s a thunderstorm coming on. – Приближается гроза. What a flash of lightning! – Какая вспышка молнии! There’s a clap of thunder. – Вот и раскат грома. What a shower! – Какой ливень! A. Look at those clouds. How black they are! There’s a thunderstorm coming on. Aren’t you afraid? B. Oh no! I like it. Oh, look, what a flash of lightning! A. Yes, and there’s a clap of thunder. The first thunder this year. B. Shall I turn off the TV? A. What? The thunder is so loud, I can’t hear you. B. I say, shall I turn off the TV? Mom says it’s better to turn it off during a thunderstorm. A. Yes, do. And I’ll shut the window. A gust of wind may break the pane. B. Oh, what a shower! A. It’s good. It will lay the dust and revive the flowers in the garden. Here are some tips for weather prediction. Watch animals. They are very sensitive to atmospheric pressure and they are very good as weather predictors. For example, insect-eating birds usually fly higher in good weather, but they often fly lower if a storm is approaching. Watch a fire. If fire smoke rises steadily, the weather is going to be fine. If it turns or comes closer to the ground, a storm or snow is approaching. Watch nature. When wet weather is on the way, sounds are heard more clearly. The smell of flowers and other plants becomes more distinctive before the arrival of rain. A grey evening sky means that rain is going to happen. It is not a good day to go out. — Сегодня лучше не выходить из дома. It is not a good day for outing. — Сегодня лучше никуда ездить. This heat gets on my nerves. — Жара действует мне на нервы. It depends on the weather. — Смотря по погоде. This entry was posted in Weather & Seasons, Тексты на английском языке для начинающих и продолжающих and tagged Weather.